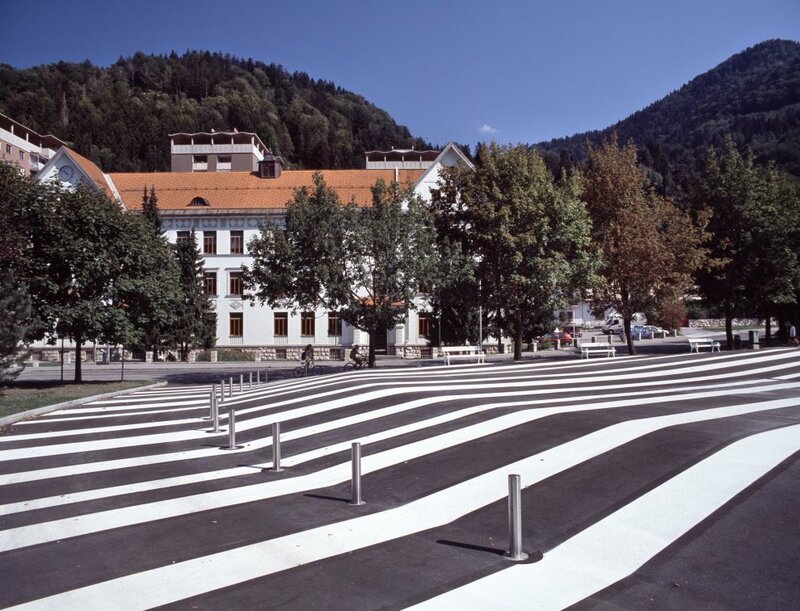 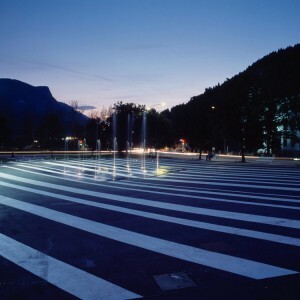 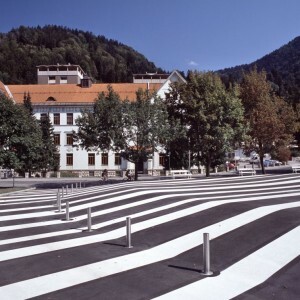 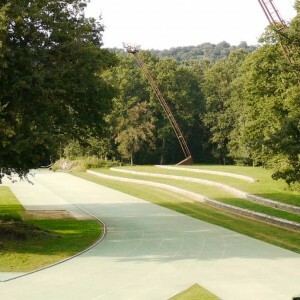 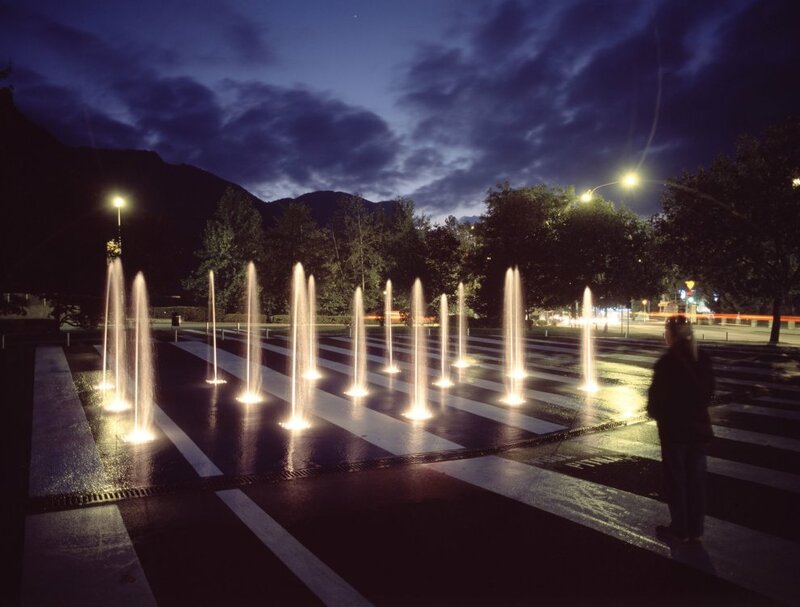 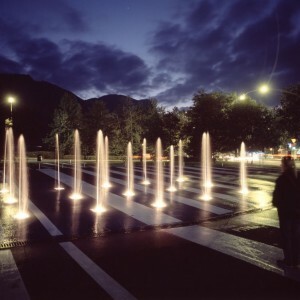 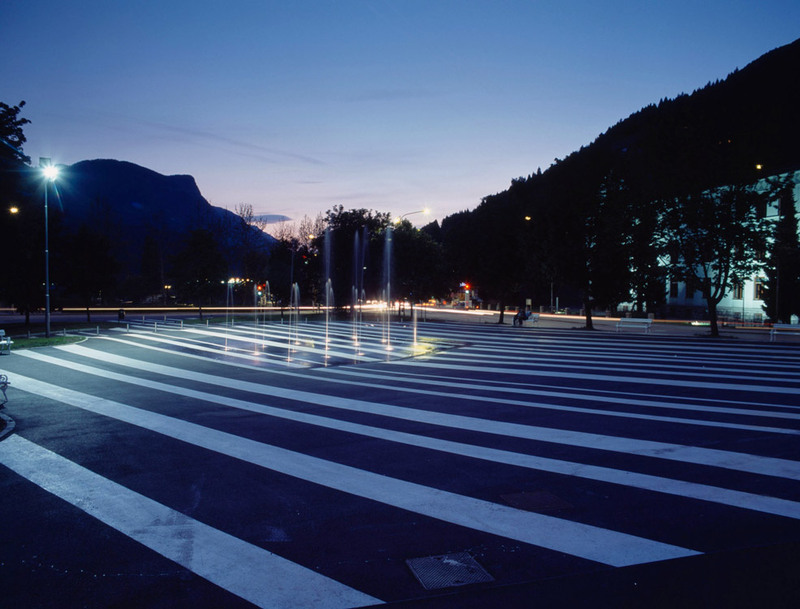 In the very centre of Jesenice urban life, surrounded by a high school, cinema, theater and library, lies Čufar’s square. 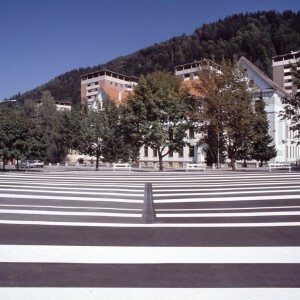 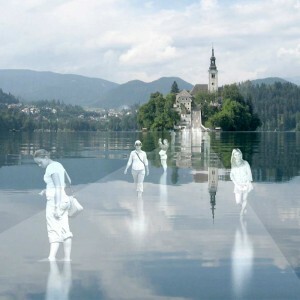 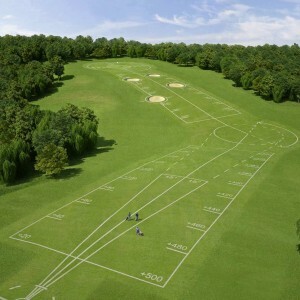 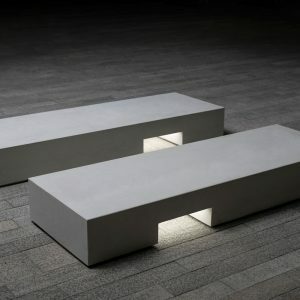 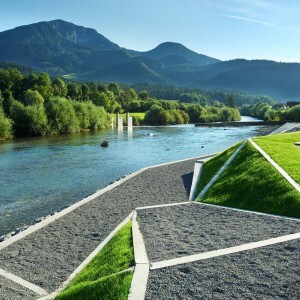 Simple, yet very dynamic urban intervention, designed by Bruto and Scapelab. 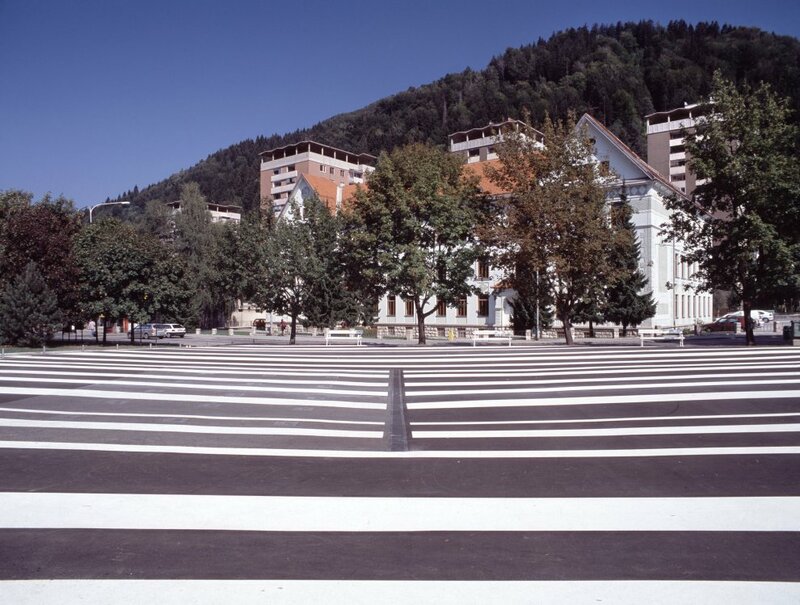 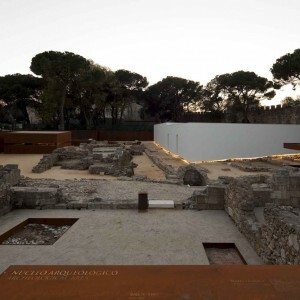 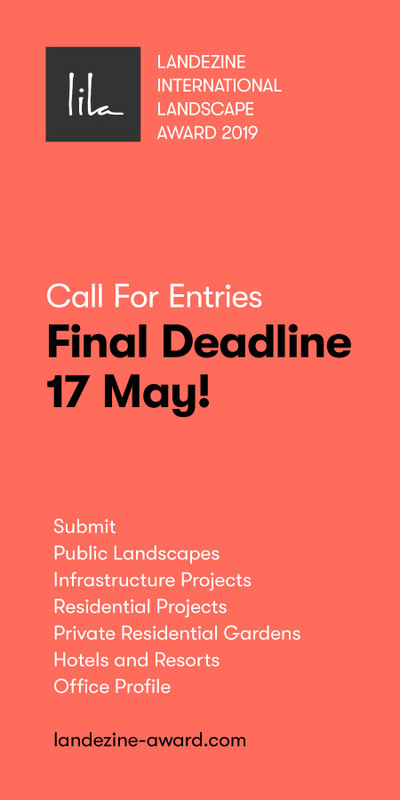 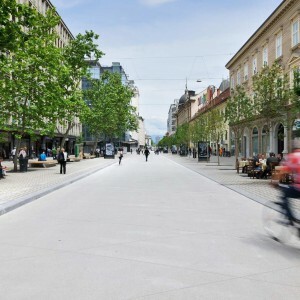 Čufar’s square provides all a city square should offer; social and multifunctional event space. 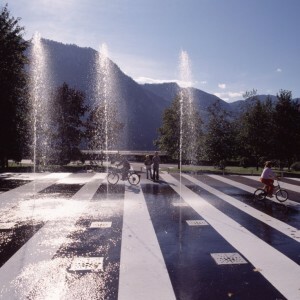 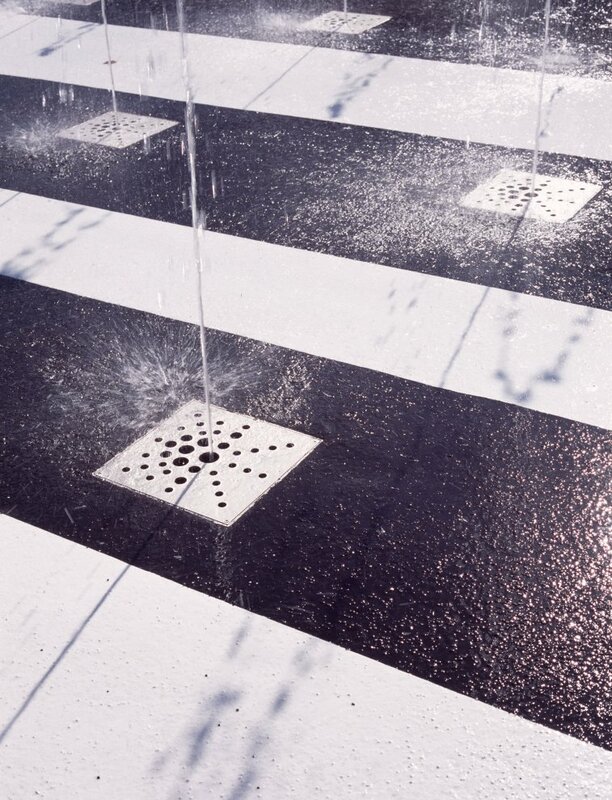 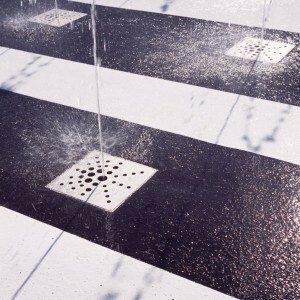 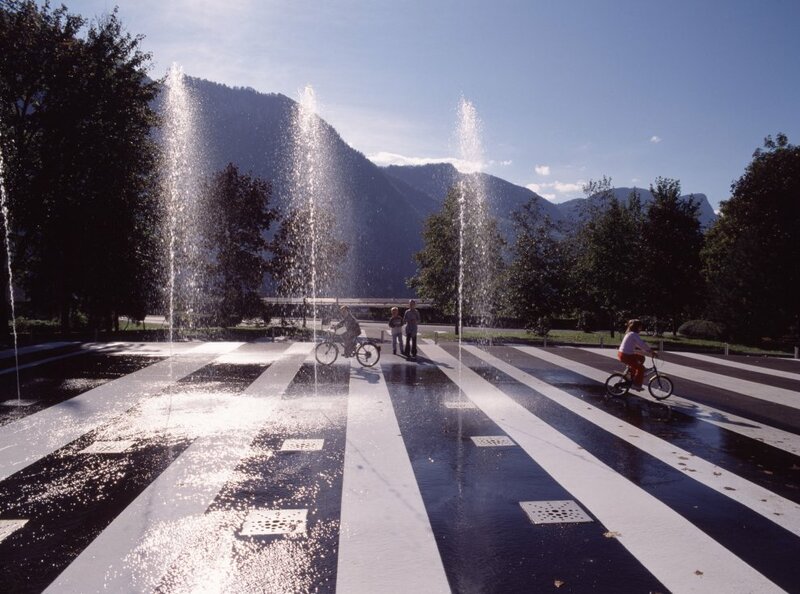 White stripes and a pack of computer-controlled water jets ad a layer of play and dynamic to the square.